Victory (feat. The Notorious B.I.G. & Busta Rhymes) Diddy, Busta Rhymes & The Notorious B.I.G. Real Niggas The Notorious B.I.G., Diddy & Junior M.A.F.I.A. Mo Money Mo Problem Diddy & The Notorious B.I.G. Been Around The World (feat. The Notorious B.I.G. & Mase) Diddy, Mase & The Notorious B.I.G. It's All About The Benjamins (feat. The Notorious B.I.G. Lil' Kim & The Lox) Remix Diddy, Lil' Kim, The Lox & The Notorious B.I.G. 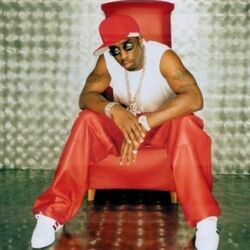 Discover more playlists and music by Diddy on PLAYLISTED. Like I'm On You (DJ Antoine vs Mad Mark Radio Re-Construction), (Not For Radio), Watcha Gon' Do? and My Heart (Original Mix).